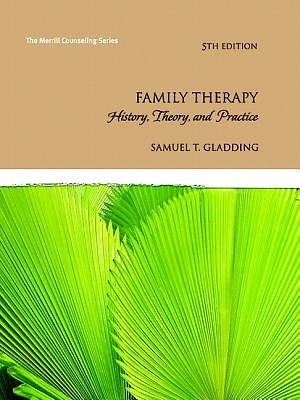 The most thorough and well-written text in the field, "Family Therapy: History, Theory, and Practice," covers all aspects of working with families. Beginning with an explanation of how individual and family life cycles differ and how healthy and dysfunctional families operate regardless of structure or ethnicity, the author clearly covers the basic processes involved in treating couples and families before delving into a dozen theoretical ways of treating families. Readers will learn about the history of family therapy, multicultural aspects of family therapy, ways of working with various types of families, ethical and legal issues involved in family therapy, and ways of assessing families. Thoroughly updated and revised, the fifth edition is logically organized into three sections-Understanding Families and Family Dynamics, Therapeutic Approaches to Working with Families, and Professional and Clinical Issues in Family Therapy. Each chapter has an abundance of examples and case studies, and discussion questions included at the end of each chapter help to engage class participation.